A network with an uptime rate of 99.85 percent is notable in any circumstance. At a missile base it was, until recently, unprecedented. That's why the 341st Communications Squadron at Malmstrom Air Force Base, Mont., which holds this record, received the 1999 Installation Excellence Special Recognition Award from the Defense Department. 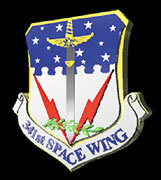 The squadron's mission is to provide communications support to the base's space wing, which has under its control a large fleet of nuclear ballistic missiles. The network, which has 2,800 users on 2,000 terminals, consists of 13 Dell PowerEdge 6300 servers, each with 1G of memory and a 46G hard drive. It uses switches and routers from Cisco Systems Inc. of San Jose, Calif., and runs Microsoft Windows NT'with an upgrade to Windows 2000 planned. Layered over the system are several products from the Patrol line of BMC Software Inc. of Houston that allow technicians to monitor the network. The monitoring is done in a control room with a command console made up of large-screen displays that allow a number of people simultaneous access to information. The network was conceived about 18 months ago, when the team decided that it no longer wanted to be reactive to problems. Following that discussion, Network Control Center supervisor Senior Master Sgt. Matt Nowak attended a technology conference in Alabama. In the course of chatting with vendors about products that would move the squadron to a more proactive stance, he met representatives from BMC. In fact, before BMC entered the picture, Nowak and his team had already done a gap analysis and recognized that they were in need of additional equipment, as well as software. They also envisioned a control post structure. The key was to pull together the various functions of network management and create a central place where the health of the network's organs could be identified before any problems emerged. The command console cost about $50,000 and has been well worth the expense, Nowak and Czerwinski said. The Patrol products used by the newly renamed Proactive Network Control Center include the Patrol Enterprise Manager, which takes feeds from a number of different systems and puts them onto the command console. The Patrol components work, in this case, with Microsoft BackOffice products. A knowledge module monitors every function of the servers. Technicians set thresholds, for example, that will trigger an alarm when they are exceeded. Functionality thresholds can range from disk space usage to client log-ons. Dixon said the software automates as much as possible the processes that ensure applications are always up and running. The rationale behind the Patrol Enterprise Manager, he said, represents a paradigm shift from managing individual pieces of technology to overseeing how they ultimately affect the end user. Patrol's cost, Nowak said, was about $40,000 and included a contract to have BMC technicians work with the squadron's technicians for 10 days to optimize the product. It has been in place since May, although the optimization process by the squadron's own technicians is still a work in progress. 'That will come,' said Czerwinski, who credits Nowak and his staff for the network's success. 'The unit is run like an inverted pyramid. If you put the tools in the hands of folks, provide guidance and let them go, it encourages innovation from people most familiar with the processes they're involved in. Caron Golden is a free-lance writer in San Diego.